Also known as boundary flagging, boundary investigation or boundary location. This is applied to the action of determining the legal position of a cadastral (legal) boundary on the land which can be identified by wooden stakes as opposed to survey pegs. 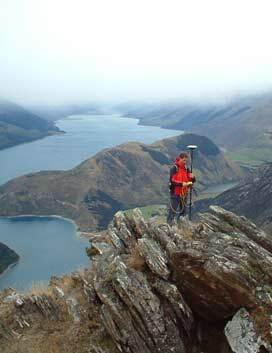 This method of boundary identification may now require a survey dataset to be lodged with Land Information New Zealand. Searching of the existing survey records (plans and marks) in the vicinity is the first step, followed by mathematical calculations to determine the position on the ground. If you are building a fence on or near your boundary, you must ensure you do not encroach on your neighbour's property as this may spark a long and costly dispute with the possible outcome being the removal of the fence.